Do I need one for my motor? A car warranty is a type of insurance policy that protects the buyer from all or some of the costs incurred from a specified range of malfunctions with their vehicle. A car warranty typically runs from one to five years and is backed via an independent third party or the car’s manufacturer. In the event of a vehicular malfunction, the warranty will cover all or some of the costs of the resulting repair – providing the car has been properly maintained and meets the conditions of the warranty. Which parts are covered for repair is also dependent on the individual warranty, with manufacturer-backed policies tending to guarantee just about everything on the car, while independent third party insurance will often exclude certain items. It’s also worth noting that neither type of policy will cover you for breakage through wear and tear unless in exceptional circumstances. All new cars should come with a manufacturer-backed warranty as standard, while many brands offer the chance to extend the period your vehicle is covered. Buy from a manufacturer’s approved used program and a warranty of some length should also be provided. If you’re buying a slightly older car bought out of its initial cover period and not from a franchised main dealer, a warranty could make financial sense for those who don’t want to risk the cost of a major repair. Remember, a good warranty could only be a few hundred pounds a year, yet a sudden failure of a vehicle’s components could run into the thousands. If you do choose to buy a warranty, make sure you read the terms and conditions carefully as individual polices can vary dramatically. When you buy a used car that's out of its warranty period, dealers will usually offer an extended warranty. Franchised dealers will tend to offer an Approved Used warranty that is promoted by the manufacturer and often comes as part of the deal. Approved Used warranties tend to be offered only on the make of car the franchised dealer represents. Other makes of car will still usually be offered with a warranty but it may not be as comprehensive, so always check. 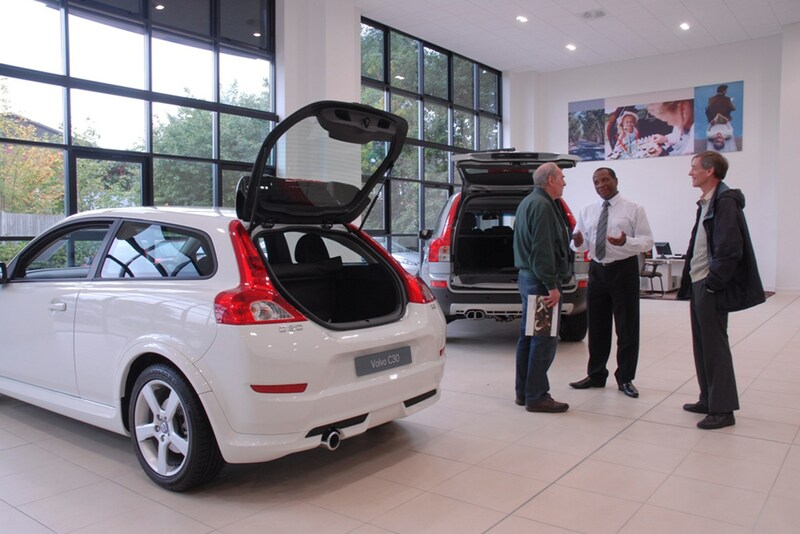 Independent dealers will usually offer some sort of cover - usually three months. But if you want a longer warranty then an ‘aftermarket’ warranty will probably offer the best combination of price and cover, leaving you to negotiate the best price for the car with the dealer. Clearly, if you have bought something that is cheap, but not very cheerful, splashing out on warranty cover makes little sense. We think that anything under £1,000 is not really worth covering, depending on the type of vehicle. What's more, extended warranty companies have age restrictions on cars. Most companies won't cover cars that are 10 years old or more or have more than 100,000 miles on the clock. That all depends on whether you’re looking at a new car warranty or a used car warranty. In the first instance, all new cars are provided by some kind of manufacturer warranty/guarantee. This should be comprehensive, meaning most parts and labour are covered if something goes wrong. Examples of guaranteed items include all engine and gearbox issues, plus any electric, suspension or engine problems. Buy a used car from a manufacturer franchised dealer and the warranties are likely to be similarly extensive – only excluding repairs to things like the exhaust, wheels and battery. 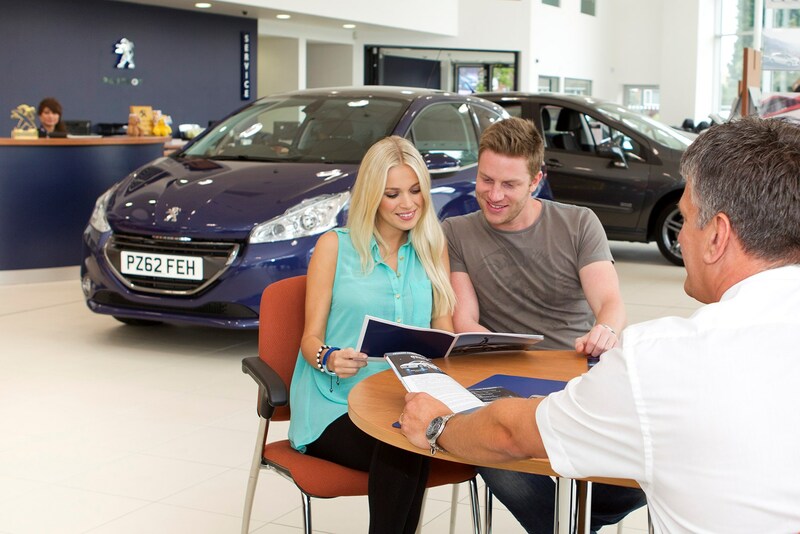 Most non-franchise independent used car dealers offer a three-month warranty as a guarantee when they sell a car, while many offer extended warranties at extra cost. The latter option will of course cover more, but make sure you read the small print carefully to find out exactly what you’re protected against. Are wearing parts covered under warranty? Some policies might cover you in the early part of the warranty period - usually about 90 days. That's pretty much the only exception though. Wearing parts that are contained within other assemblies are not covered; for example, the clutch plate isn't normally covered but the remaining clutch unit parts are. Brake pads are not covered, but brake callipers and the rest of the braking system are. Tyres aren't guaranteed either, nor is damage to bodywork, paintwork, glass or headlights. Am I covered for the full amount of the repair under warranty? That depends on whether the cost of the repair exceeds the maximum claim limit. This is usually set at the value of the car or limited part by part. A gearbox repair, therefore, may have a £5,000 cap while an air-con fix may have a £1,500 limit. This means that you can make more than one claim as long as the combined cost does not exceed the maximum claim limit. How long does my car warranty cover me for? Once again that depends on the warranty in question. New car policies will typically last for at least three years or a set mileage – whichever comes first – however some will go up to seven years. Used car warranties will usually be for either three months, six months or twelve months. Make sure you take note of any potential mileage cap on this though, as running over could invalidate your claim. What about extra cover - windscreen, breakdown recovery, European cover and so on? The range of cover depends on the scheme. If you are buying an aftermarket warranty, the more you pay, the better the cover will be. As far as manufacturer warranties are concerned, the level of service differs but many will offer breakdown assistance and cover the costs involved in the event of a roadside breakdown – such as recovery, car hire, overnight accommodation, rail fares to get you home and so on. Do I have to have my car serviced at the main dealer to protect my warranty? No. You can have your car repaired at an independent garage as long as they stick to the service schedule and use original manufacturer (OEM) parts rather than aftermarket components. Make sure the garage in question gives you full set of receipts for the parts used, too. Can I state where I want my car repaired? Some warranties stipulate repair garages for you because they want to ensure quality control and use tried-and-tested outfits to avoid repeat faults. There is, however, much more choice available and some warranties allow customers to specify where they want their car repaired. It's worth checking the terms and conditions before you sign. Do I have to have a full service history to protect my warranty? Yes. Make sure you check the service intervals and stick to them to ensure you protect the warranty. There is a little leeway though: you can usually cover between 500-1,000 miles or 30 days over the scheduled mileage or dates. Are servicing costs covered on the warranty? Not usually. Some manufacturers such as MINI offer a service package for a one-off payment. The brand calls it the TLC package and you pay around £400 for three years' servicing. This usually covers labour and parts but not wear-and-tear items such as brake pads and tyres. What if I don't carry out general maintenance? If you find that your engine has seized up because you haven't checked the oil level then you are unlikely to get your car repaired under warranty. Similarly, if you don't check your coolant levels and ensure it's got the right mix of anti-freeze then you can expect a cold shoulder from your warranty provider if your engine goes bang in the cold weather. It's important to remember that most companies only need the tiniest excuse not to pay, with there often being little things that can trip you up. When it comes to looking after your car make sure everything is done by the book so there won’t be any problems when it comes to potential claims. What if one part fails and breaks another? This is where you might find another potential hurdle - so look out for the words 'Consequential Loss'. It may be that you are covered for Consequential Loss, which means the warranty company will pay up for repairs of parts caused by the failure of another. If it's not mentioned, however, you could face a big bill - let's say for example that your water pump fails and it affects other components: in this instance the warranty may only cover the water pump. Audi’s Approved Cover warranty, for example, states that they ‘will not pay for any damage to parts caused by consequential failure exceeding £2,000 per claim inclusive of VAT.’ This means that the policy will cover the consequential damage caused by a part breaking – but only up to £2,000. Manufacturer warranties usually are and rarely require you to inform the manufacturer of a change of ownership to protect it. Extended warranties can usually be transferred but require an extra administration payment to transfer the cover. What if I make modifications? You’ve got to be careful here. If you fit aftermarket alloy wheels, fiddle with your car’s suspension or ‘remap’ the engine (tune for extra performance) you could risk invalidating the warranty. Even if the modified part is unrelated to the part that breaks, it could still cause problems when it comes to claiming. Consider this carefully before modifying your car. Our top tip would be to read through carefully every point of the terms and conditions before entering into a warranty agreement. If you do this properly and ask any relevant questions, then there shouldn’t be any nasty surprises when it comes to making a claim. You can read more about what's available, and what to look out for, in our warranty section. Kia is one of the biggest names in the manufacturer-backed warranty game, offering a seven-year/100,000-mile (whichever comes first) transferable policy that comes standard with every new car. Hyundai and SsangYong also offer five-year unlimited-mile warranties.